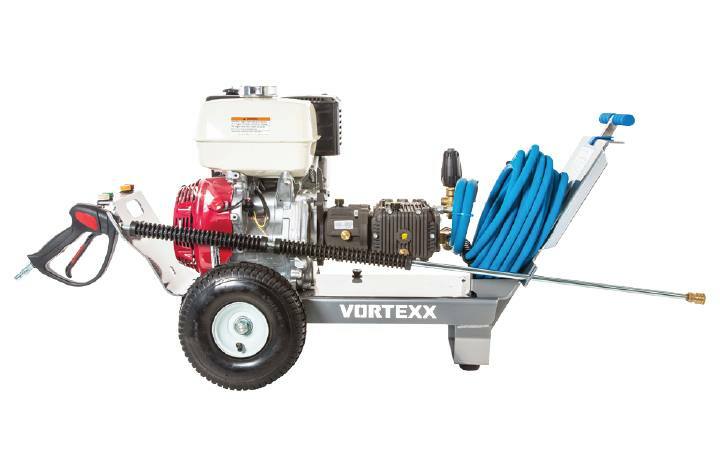 If your Vortexx will be on the job all day, every day, you may want to consider a gear reduction unit. This option will cut the pump speed in half and extend intervals between servicing the pump's internal working parts. Also check out some of our key accessories that make a day on the job a bit shorter. For example, our hose reels will make coiling up that hose a breeze, and our custom low center of gravity mounts will keep your machine upright no matter how hard you tug. It all adds up to years of worry free operation so you can focus on getting the job done.